They’re so not cool that they’re cool… to the point of not being cool again… which makes them cool again… making people realize they’re not cool… which isn’t just cool… it’s tres cool… so very not cool. 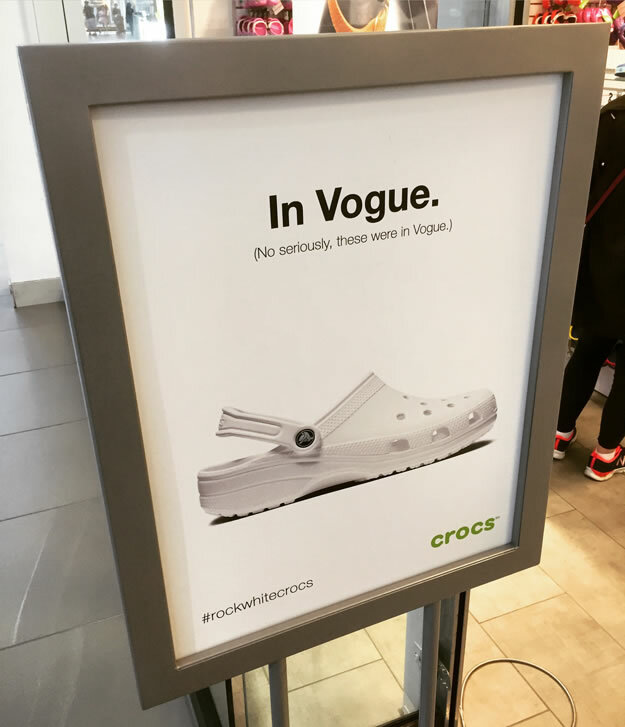 So… Are you pro-Crocs or no-Crocs? This entry was posted in branding, going critical, product! and tagged advertising, creativity, croc, crocs, design, footwear, marketing, poster, shoes on October 8, 2016 by Clayton Hove.